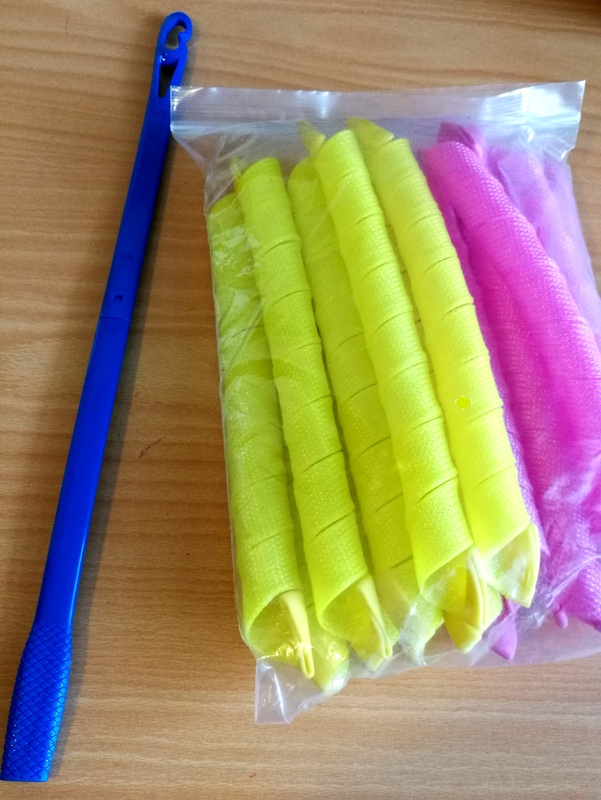 A couple of weeks ago I was eBay shopping and I remembered I’d seen these things that you pull your hair through and leave it for a few hours or overnight and when you remove them you have ringlets / cork screws, and I really wanted to try them so I ordered them! This is what they look like. As you might be able to see, the yellow and the pink ones go in opposite directions so for example if you want the pieces around your face to curl away on both sides you would use pink on one side and yellow on the other. The research I’ve done says to put them in when your hair is damp, but not wet, and leave it overnight. Some say they hurt to sleep on, but I guess that’s individual. 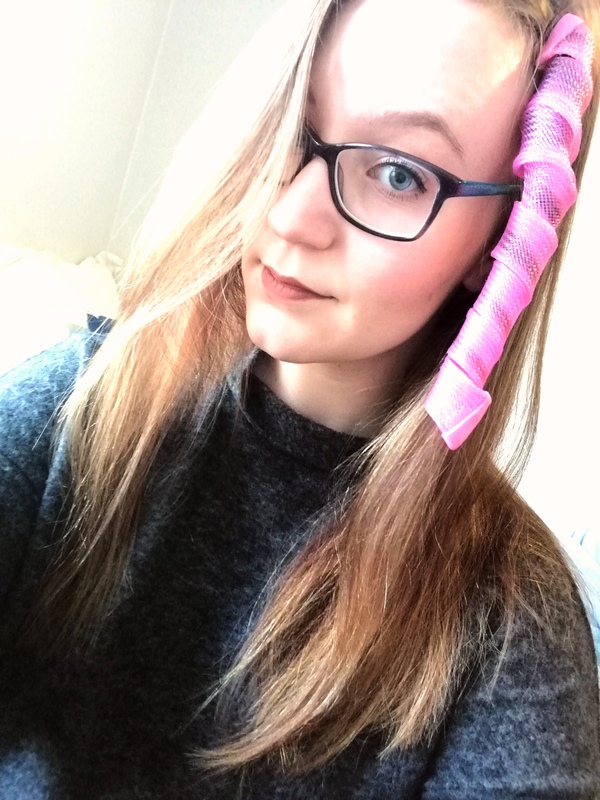 Others say they need to be in for a minimal of 4 hours for curls to appear, so it should be possible to do your hair in the morning for an event at night, if you’re just staying at home or don’t mind going out with curlers in your hair! I also saw a video where the girl put them in and then blowdried them, I guess that’s worth a try too. But if you don’t like to use heat then it’s a safe bet you would need to leave them in for a while in order to get curls. I just did this on dry hair to see if it worked, which it did. I have to tell you, you need to brush your hair before you do this! I tried to do it without brushing my hair and that did NOT go well! And if you have a very sensitive scalp then this is definitely not for you, because it does pull quite a bit, even when your hair is just brushed.